5% off all orders over $100 in value. We have bought your honey on several occasions and love it. I love your company. Keep up the good work and I will keep on enjoying these sweet sweet bee treats. 1.1 Cammell's Honey Ltd. will collect information as submitted by you to our website as part of the websites login process, account updates or newsletter subscription. We will also keep on file a record of your logins to our site and any purchases you have made. 1.2 We will also automatically collect information for use in the further development of our site when you access this site. This information includes the date and time of your visit, the country and city you are located in, your ip address and the addresses of any pages that you visit while on our site. Automatically collected information is not linked to your profile. 2.1 Information that is submitted to Cammell's Honey Ltd. is protected by a Geotrust QuickSSL™ certificate to enable server security. GeoTrust SSL certificates are providing up to 256 bit encryption thereby offering the highest level of encryption and security possible. 2.2 Purchases made with either Visa or Mastercard are processed on a secure payment page provided by Payment Express. Information related to your order will be passed to Payment Express in order to process payment. 3.1 Cammell's Honey Ltd will use information you provide to provide you with goods you order through this site. 3.2 We may also utilise collected information to further enhance this site and for our own marketing. 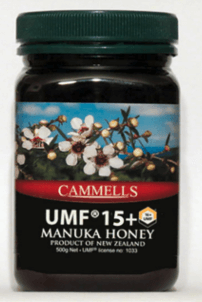 3.3 Cammell's Honey Ltd will not pass on any information to another third party for the express use in the marketing of any goods or service other than those products that are sold by Cammell's Honey Ltd.
- If we are required to do so by law. Copyright © 2019 Cammells Honey Online. Powered by Zen Cart. Responsive Zen cart templates by Picaflor Azul. Independently certified, true to label.